Like all unions UCU tries to resolve members' employment related disputes through negotiations at local level. Your branch or local association should always be your first port of call. However, sometimes disputes cannot be resolved locally. Consequently, the union offers legal services to members. On this page, you will find information about the key points of our scheme, and how to apply under it. Please note that there are time limits applicable to claims which are to be brought in either the tribunals or the courts. More information on the time limits is available in the UCU Support Centre. 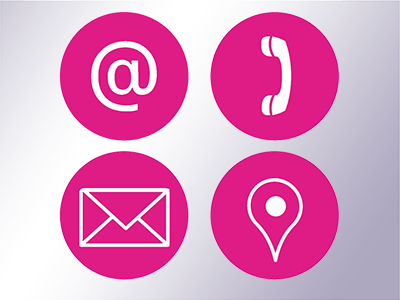 If you have any questions about UCU's legal scheme please check the UCU legal services FAQs. Your regional office can also provide you with more information about the legal scheme and the regulations under which the scheme is operated. The scheme covers employment rights, personal injury (including workplace stress), police enquiries and immigration employment advice. It excludes defamation, representation by your own legal advisers, where your interests are in conflict with UCU's, and to bring legal action against UCU. You must be a member of UCU whose subscriptions are up to date. Unless you joined UCU at the earliest opportunity you may be asked to pay a year's subscription in order to receive legal services. Advice will not be provided about matters which occurred when you were not a member. UCU will not meet legal costs it has not specifically authorised. If you are involved in a dispute with your employer arising from your work, the union can offer you advice on your rights and remedies. In some cases, the union will also provide legal representation. To apply for assistance you must contact your branch or local association who can refer you to the regional office. If you are asked by the police to attend an interview in connection with an investigation arising from your work, the union can arrange for a lawyer to accompany you to that interview. If you are charged with an offence, the union also offers a full criminal defence service utilising Thompsons Solicitors LLP Criminal Law Unit. To apply for assistance, you must contact your regional office as soon as you are notified that the police wish to interview you. 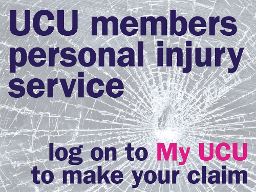 If you think you have a personal injury claim you should log into to 'My UCU'. Or you can telephone our dedicated personal injury call line, 0333 2400 474 where an operator will take down your details and the details of your accident and pass them on to one of our approved panel firms. Alternatively you may email us at injuredatwork@ucu.org.uk and one of our advisers will contact you to obtain the relevant information before making the referral to one of our panel firms. If you require assistance with a matter concerning your ability to live (or continue to live) and work in qualifying employment in the United Kingdom please contact UCU's Membership and Professional Support Department who will refer you to specialist immigration lawyers Bindmans LLP. If you have a question about immigration and your right to work please also see the UCU Support Centre. Find your local branch and regional contacts here.